I have learned so many valuable lessons from my time spent being mentored and taught by Coach Blauer but I think these 3 lessons are so simple yet so valuable to everyone. These 3 lessons I learned after my first experience at a Be Your Own Bodyguard seminar with Coach Blauer. The first time I heard Coach Blauer say this I wasn’t really sure what I thought about it. It kind of made sense. I mean we do have a rib cage that protects our vital organs, eyebrows & eyelashes to protect our eyes, and our body builds callouses when we work with our hands. So in that sense I believed it. But I couldn’t fight like the guys in the movies or in the boxing ring or in the UFC. I didn’t know how to wax on or wax off and I sure as heck didn’t look like those fighters. I have been in my fair share of sporting event “fights” but I never put up my dukes and started jabbing and upper cutting or doing round houses. But after taking 1 course with Coach Blauer I realized he was right! In that first day I didn’t become a professional fighter nor do I have the desire to do that. All that happened was I realized that my body does certain things intuitively and instinctually that sets me up to protect myself without having to think about it. This natural and instinctual defense mechanism is hardwired into our body and is referred to as Startle Flinch & Push away danger. Coach Blauer merely showed me how to recognize that and use it. What changed was my mindset. Your MINDSET is the key. Coach Blauer has told me and I have heard him tell so many seminars full of people that if you are defending yourself then you missed so many opportunities to avoid and not have a violent encounter or fight/ambush. He talks about the 3 D’s. Detect, Defuse/De-escalate, & Defend. So if we pay attention to our surroundings, have the correct body language and choice speech that says that you don’t want to fight we can avoid a large portion of altercations. It is better to know if something bad is going to happen 30 yards away than it is to find out when the bad guy is in your face. Here is a great question that I want you to ask yourself. If you were a “bad guy” where and when would you attack yourself? We all have routines and if we aren’t paying attention we can leave ourselves open for trouble. This is HUGE for me. It relates and applies to all aspects of life. It is all about mindset and allowing your mind to relax by creating a plan. Coach Blauer spends a good deal of time on Mindset and Fear Management. He couldn’t possibly spend enough time on it in my opinion. For me, if I have a plan laid out for my day I have so much more success following it and I don’t spend as much time trying to remember what I have to do. Now when I see my workout on the board I immediately make a plan. Sometimes that plan changes mid workout but making a plan takes me out of the F.E.A.R. Loop. In any and all scenarios in life you need to have a plan. Sometimes you can plan ahead but other times you get ambushed or caught off guard and need to make a decision on the spot. This is such a huge paradigm shift for me. In any situation when I make a plan I give myself control over the situation rather than the situation controlling me. Coach Blauer has devoted his entire life to making people safer and to opening their eyes to the tools they already have in their possession. As human beings we all flinch. This is a gift from God. We owe it to ourselves and our loved ones to recognize it and use it. 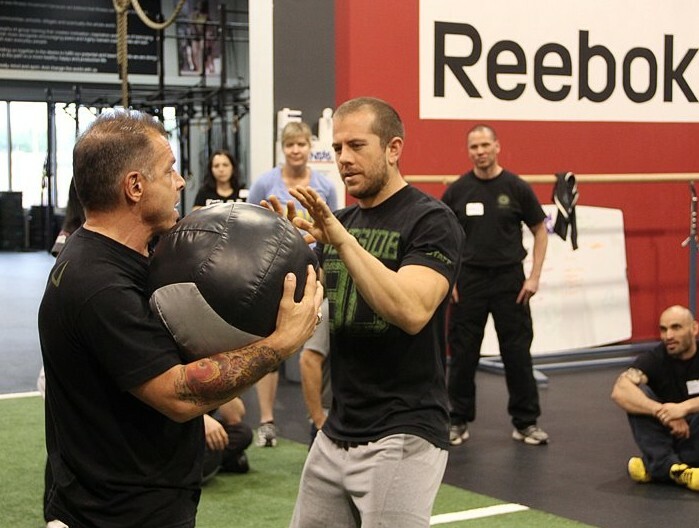 Coach Blauer has transformed his Be Your Own Bodyguard seminar and joined forces with Crossfit HQ to provide a life changing course called Crossfit Defense. I have been working with Coach Blauer since July 2011 and have been to three Personal Defense Readiness Instructor Courses along with countless BYOB seminars. I am now helping Coach Blauer bring this course to the Crossfit Community and could not be more thrilled and honored to bring such an amazing & life changing course to my peers. I have no background in fighting or martial arts and this has had one of the greatest impacts on my life next to finding Crossfit. I strongly urge you to attend a course. 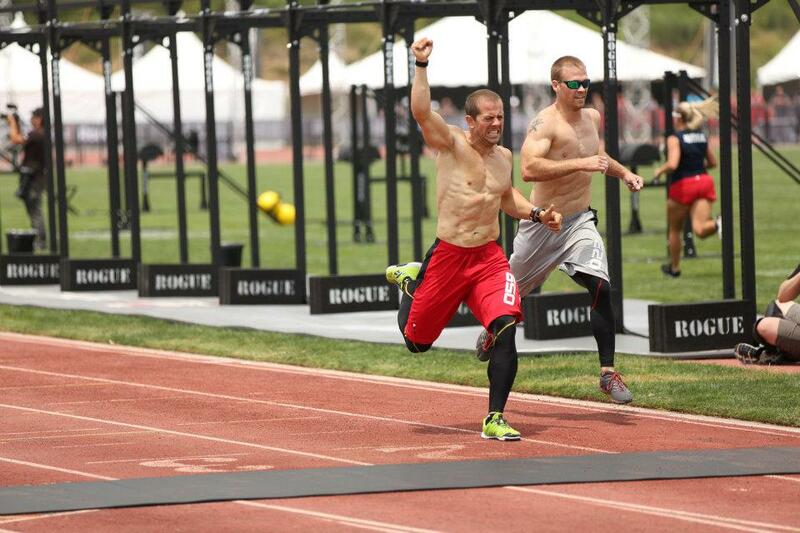 This weekend Coach Blauer and I will be at Foundry Crossfit in Bermuda Dunes, California. Follow the link for MORE INFO and Follow this link to REGISTER for the course. Please check the schedule for upcoming events in your area. This is real life. Pretending things aren’t going to happen to you won’t help. Take action and take your personal safety into your own hands. Coach Blauer has devoted his entire life to making people safer and to opening their eyes to the tools they already have in their possession. As human beings we all flinch. This is a gift from God. We owe it to ourselves and our loved ones to recognize it and use it. Coach Blauer has transformed his Be Your Own Bodyguard seminar and joined forces with Crossfit HQ to provide a life changing course called Crossfit Defense. I have been working with Coach Blauer since July 2011 and have been to two Personal Defense Readiness Instructor Courses along with countless BYOB seminars. I am now helping Coach Blauer bring this course to the Crossfit Community and could not be more thrilled and honored to bring such an amazing & life changing course to my peers. I have no background in fighting or martial arts and this has had one of the greatest impacts on my life next to finding Crossfit. I strongly urge you to attend a course. 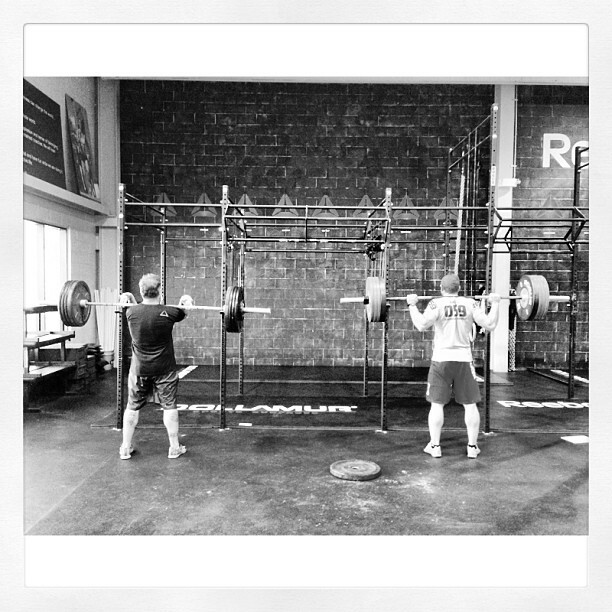 This weekend Coach Blauer and I will be at Valley Crossfit in Van Nuys, California. Follow the link for MORE INFO and Follow this link to REGISTER for the course. Please check the schedule for upcoming events in your area. This is real life. Pretending things aren’t going to happen to you won’t help. Take action and take your personal safety into your own hands.